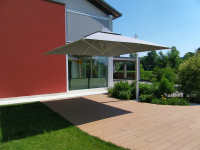 From the shapes of the past, we have invented the sun umbrella of the future. 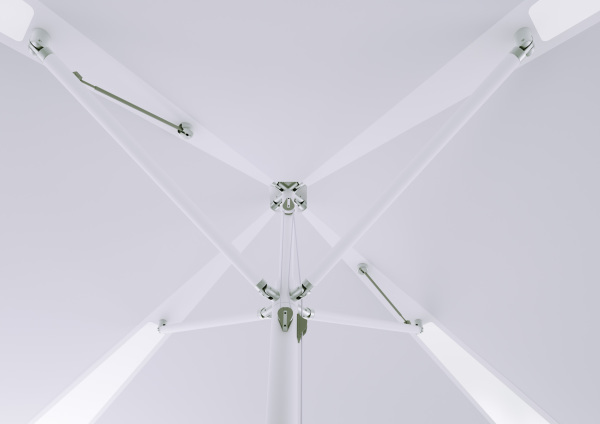 Pyramid, a new, revolutionary, patented backlit and rigid panel constructed umbrella. 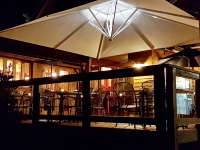 The Pyramid sun umbrella adds a touch of elegance to any location it is placed in, shading its guests from dawn until dusk. 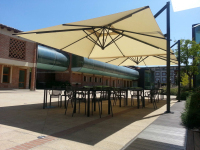 When open, it provides shade and shelter from the rain; its backlit panels allow it to be used in the evenings, without having to resort to additional lighting systems. 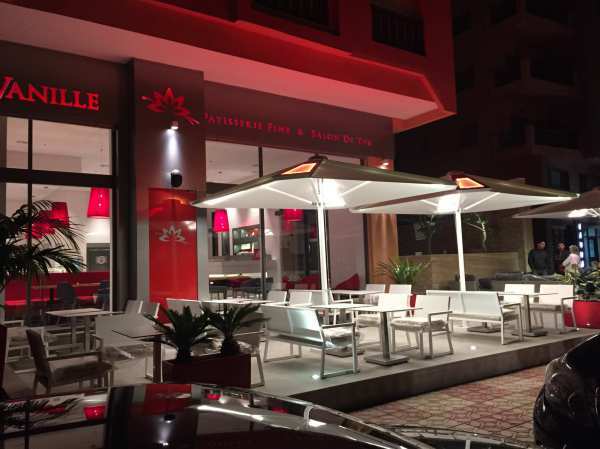 When closed, it turns into an exquisitely designed ornamental lamp. 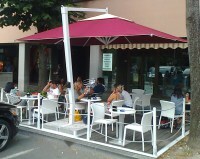 Pyramid is upholstered with an easy to print fabric, which makes it fully customizable - both inside and outside. Its potentials as a commercial gadget and a clean canvas for artists are practically endless, allowing maximum freedom of expression. 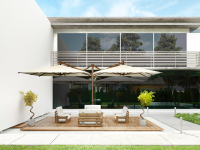 This sun umbrella is tensioned with decisive lines to match the most modern and fashionable contexts. 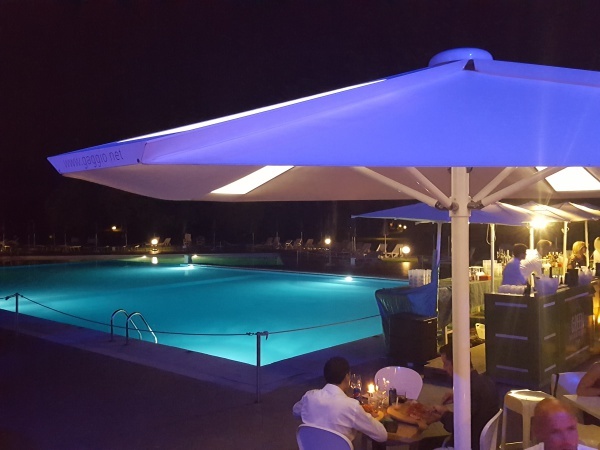 An object with minimalist style, truly unique, and perfect at the border of a swimming pool as well as in an urban context - without ever betraying its nature of being a technical and professional umbrella. 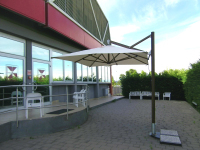 Design and operation simplicity are combined in a truly unique umbrella with a retractable side arm. Quick and easy to open and incline, thanks to its perfect weight balancing. 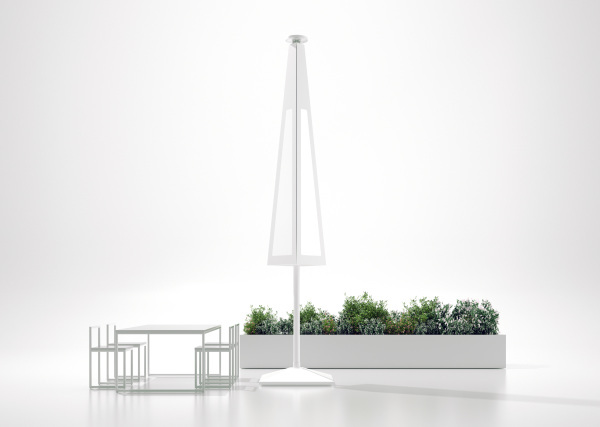 The Swing opens up and is tensioned by means of a nautical pulley featuring a quick locking system. Its practical tilting system allows for adjustments. 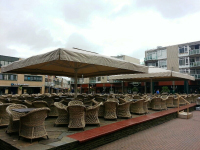 parasol with a powerful and elegant central pole. 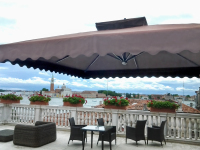 It features a telescopic system with a self-balancing opening – by means of a tensioning rope. 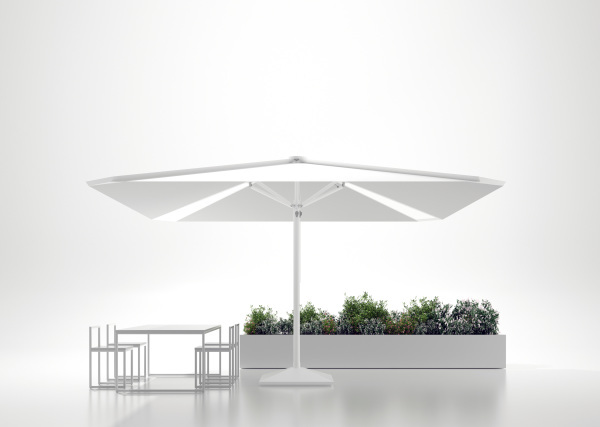 This allows for the opening and closing of the parasol to be done easily and safely without moving the objects below. 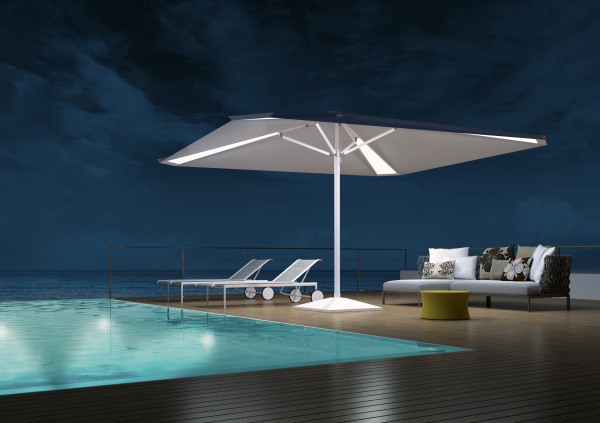 Observing a giant parasol up to 100 square meters that opens up with a remote control, is not something you see every day. 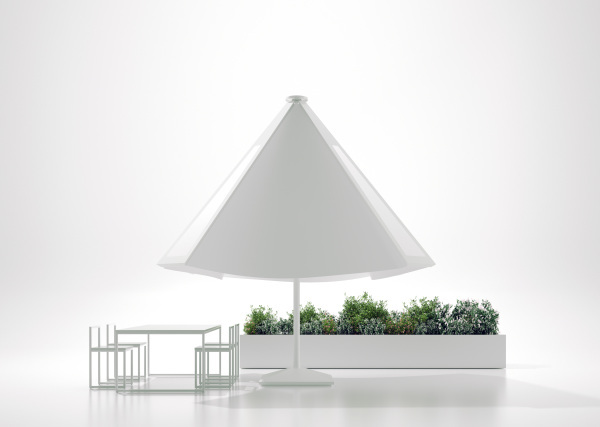 The parasols of the Golia series offer stage effects. 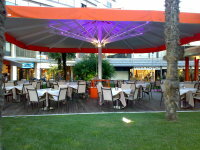 In the morning, when you set up your outdoor area, you will see a queue of people that will ask you: what time is the show starting? 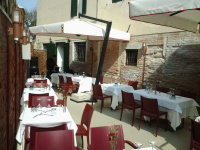 All the movements take place without the need to move tables and chairs below.